Yup, I almost fell for the siren song again. They didn't actually want me to shoot lecherous leers at them, they were merely sleeper cell agents from the microfiber industry, intent on foisting their horrific product on the masses. For those who don't know, microfiber is that bizarre material generally used when polishing a car or wiping off a camera lens. To touch it is like touching an octopus, because it will latch onto you and not let go until you start vomiting. I'm pretty sure it has extraterrestrial origins. Seriously, there has to be evil porcupine wizards inside of it to give such an awful texture. At work, we make the new people deal with anything microfiber related. From putting it back in its spot to touching it to powerwashing the old people day, everything microfiber-related falls under their jurisdiction. Now microfiber apologists might claim the material dries things really well. I would agree with that point, except you know what also dries things really well? Normal towels, abnormal towels, dogs, cats, vacuums, pontoons and giraffes all possess the ability to make something drier. Basically anything that is a thing will dry other things. You do not need to bring a nausea inducing awfulness into cleaning—an act that's already awful in and of itself. The apologists might also claim the rate of microfiber absorption speeds things up because you don't need to rewipe the same spot. Well, just keep in mind, when you hold the thing out at arms length and touch it with the smallest surface area possible (I once got it down to a square nanometer), it's going to hinder any speed gains. And it ill engender hatred at everything. Keep in mind, I'm not the type to just go off on a product without doing diligent research. It seems microfiber was raised in Sweden in the 1990s. Like the weed it is, it slithered across the pond and convinced Rubbermaid to start marketing itself to the masses in 2007. It goes without saying we're in a much worse place now than those glorious pre-microfiber days. In the years since microfiber materials arrived, we've met nothing but problems. Global recession? Microfiber. Too dry of golden retrievers? Microfiber. Cars that proactively repel hobo urine? Again, it's microfiber at fault. I would say we should just burn it all and feel good for doing the world a favor, but I realized something, that's what it wants us to do. You don't just create a product that's designed to make people hate it without an ulterior motive. It's like disco in that way. Luckily, I have stumbled upon a solution. Wikipedia says microfiber can hold up to eight times its own weight. What we simply need to do is get nine times its body weight in some awful material. Something like ipecac, gin or shrimp. Something nobody would want to go near. 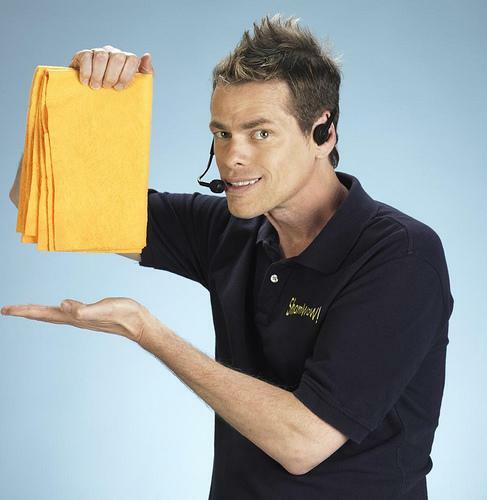 The combination of the awfulness of the liquid and its sheer size will cause the vile microfiber to drown, and we as a human race can live happily ever after in our world that is clean without the hindrance of microfiber towels.